The sun is shining, the days are getting longer, and the snow is starting to melt! 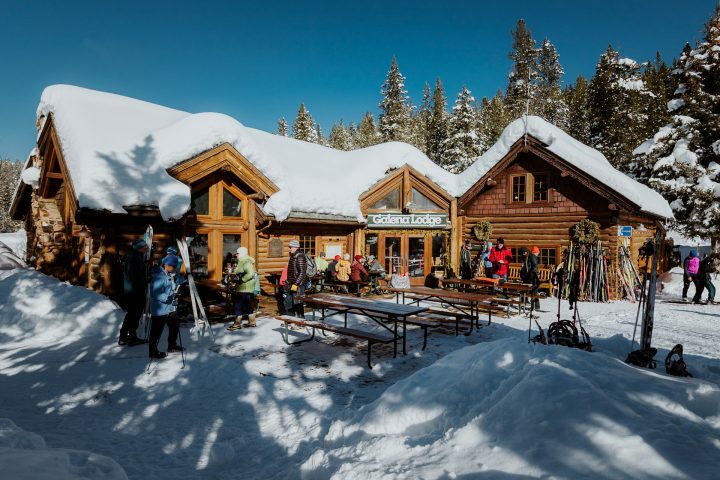 While the 2018/2019 ski season is coming to a close, the Sun Valley community is ramping up for a busy spring. Here are a few of the local happenings we’re most looking forward to in April 2019. Galena Lodge, located 22 miles north of Ketchum in the Boulder Mountains, closes up for the season on Sunday, April 7. To celebrate a great year of skiing, they are hosting the 18th Annual Ride, Stride, and Glide. Solo racers or three-person teams race in a 9 km mountain bike, 4.5 km run, and 9 km ski. Costumes strongly encouraged, and you can register the morning of the race. Your entry fee also includes buffet lunch on the deck! Looking for a night out? Head to the newly re-opened Mint in Hailey on Saturday, April 13 to hear Austin-based Americana group The Band of Heathens. With albums that regularly top the Americana Music Association’s album chart and a reputation as a band that knows how to rock an audience, you won’t be disappointed. Other April music performances include Ramblin’ Jack Elliot at the Sun Valley Opera House, Andy Frasco & The U.N. at Whiskey Jacques and the Caritas Chorale’s Spring Concert at Our Lady of the Snows. Join in the family-friendly fun at Sun Valley Resort on Friday, April 19 at 4:00 pm for a massive Easter egg hunt. Over 5,000 eggs will be hidden throughout Sun Valley village, with toddler zones identified so the littlest members of your family have a chance to grab some treasures. The evening also includes live music on the Inn patio, ice skating, and a kid’s train. Let us help you find your perfect Sun Valley Life! Contact one of our knowledgeable agents to get started.